Meet The Team | Machesney Park, IL | Kenneth M Lutsch, DDS, Ltd.
Dr. Lutsch earned his doctor of dental surgery degree from Northwestern University Dental School in 1987. He worked as an associate dentist for two years in Rockford and Chicago .He has practiced in his current location since 1989. Dr. Lutsch believes in performing a thorough exam, diagnosing conditions, informing patients of treatment options and most importantly... listening to the desires of his patients before finalizing a mode of action. Dr. Lutsch prides himself on being gentle. "I treat all my patients as if they were a member of my immediate family". 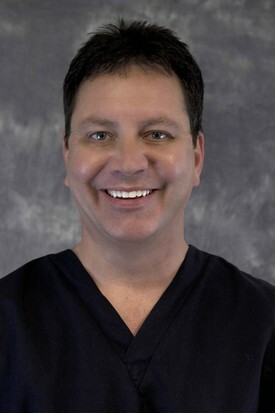 Dr. Lutsch has taken many continuing education courses in cosmetic dentistry and implant dentistry. He feels that implants are the future of dentistry and offer solutions to problems that were previously very dificult to treat including loose dentures and missing teeth. He is a member of the American Dental Society, Illinois State Dental Society, Winnebago County Dental Society, and the Chicago Dental Society. Dr. Lutsch enjoys photography, snowmobiling, softball, tennis, traveling, and mainly spending time with his son and daughter. Michelle is the first person you will meet. 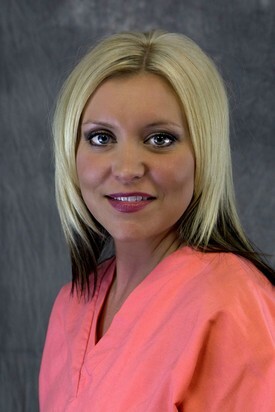 She has worked with Dr.Lutsch for over ten years. She was a chairside assistant for her first five years and gained valuable knowledge about dental procedures during that period. As our office manager, she uses this knowledge while communicating with patients and insurance companies. She is committed to making sure that cost is not a barrier to obtaining high quality dental care . When not at work, Michelle enjoys shopping, traveling, playing softball, and spending time with her family. 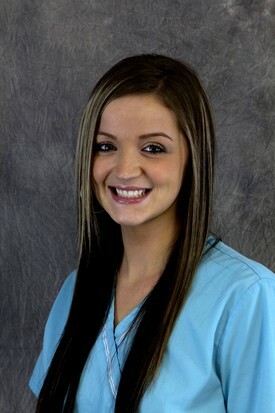 Ashley has been a chairside assistant with Dr. Lutsch since 2009. She always has a smile on her face which makes our paitients feel relaxed. She is very attentive to detail especially when it comes to cleaning and sterilizing the dental instruments. Ashley is always willing to lend a helping hand. In fact, she is often asked to hold our patient's hand for comfort. She takes classes to further her education at Rock Valley and enjoys spending time with her family.